Japan loves VR in a way that I don't think the west truly comprehends. The last two times I've been to Tokyo Game Show, the overwhelming interest, both from consumers and the developers themselves, is the kind of experiences that VR opens up. So, while you could argue that the adoption of VR is more sluggish in the west than might have been liked, throughout Asia (because the Chinese love VR too) the investment and development of VR experiences continues at a breathtaking pace. Bandai Namco has used E3 to show off its latest initiative; a full VR theme park, that will open in Shinjuku, Tokyo, on July 14, 2017. I've argued a couple of times in the past that VR might just lead to a resurgence in arcades, as VR creators look to craft experiences that can't be easily recreated in a home environment. Experiences such as a Mario Kart game where each player is sitting in a car rig (who has room for four cars in their lounge rooms?) or experiences like horror or paintball games where you can freely move around a warehouse that the goggles have turned into a haunted mansion or dense forest. Bandai Namco seems to agree with me, as this VR theme park offers 15 "rides" that would be simply impossible in the home setting. This presentation is in Japanese, but shows off everything that you'll be able to do at the theme park. 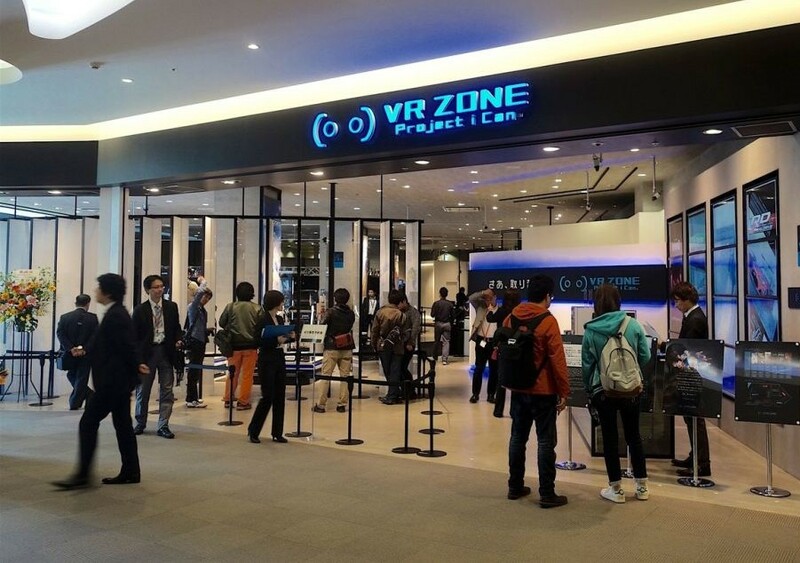 VR ZONE SHINJUKU will also include a wide range of new non-IP VR activities where guests will be able to experience exploring a fantasy world on a winged bicycle, a horror-filled dinosaur survival run, and much more. Every activity is designed for the guests to lose themselves in the immersive VR experience. Guests will also be able to enjoy a variety of non VR activities, such as surviving from an expanding giant balloon in a locked cell, purchasing original souvenirs, and enjoy meals and activities in a virtually simulated resort themed dining space, making for a truly well-rounded entertainment experience. In addition, BANDAI NAMCO Entertainment Inc. has teamed up with the popular digital art group NAKED to develop projection mapping installations in and out of the facility. The exterior will feature a projection of PAC-MAN among other images, while the inside will feature a ‘Centre Tree’ posing as the interface of the facility which will allow guests to interact with the building itself through touch.